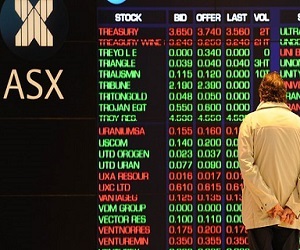 Speculation that Connective could be the next major mortgage aggregator to float on the ASX has been doing its rounds since its rival AFG had its share market debut last month. According to the Australian Financial Review, sources say Connective has done the rounds with a handful of fund managers recently, pitching its unique business model which allows brokers to keep commissions in return for a flat monthly fee – setting it apart from its would be share market rivals AFG, Aussie and Mortgage Choice. However, there doesn’t seem to be any current plans in play to list the business. At its 2014 annual broker conference held in October, Connective principal Mark Haron told attendees that the group had added more than 500 new brokers in the past year. In December, the aggregator achieved its highest month of settlements ever, totalling $3.14 billion and up 36% from December 2013. In May, Connective officially launched its new range of white label home loan products under its ‘Connective Home Loans’ brand, funded by Macquarie and Advantedge. However, AFG had a rocky start in its share market debut amid reservations about banks tightening mortgage lending standards. When shares in the company started trading on the Australian Securities Exchange in late May, they only fetched $1.18 – a 1.2% discount to their $1.20 offer price. But the stock recovered to close its first session bang-on the lower end of its offer price, at $1.20. Australian Broker has contacted Connective for an official comment, but is yet to receive a response. Given Connective's extremely skinning margins, a starting price of sub 0.50c per share would be generous. Connective have a long way to go before floating, systems are no where near strong enough, management team is lacking skill base to take company to float and just like borrowers who chase the cheapest rate, brokers will leave on mass for a cheaper, more robust aggregator. While they may have put on more brokers since Jan 2015 settlement figures have stagnated and in some cases are below last year. I like Connective and it's management team however the reality is the business is still little way off from a float.